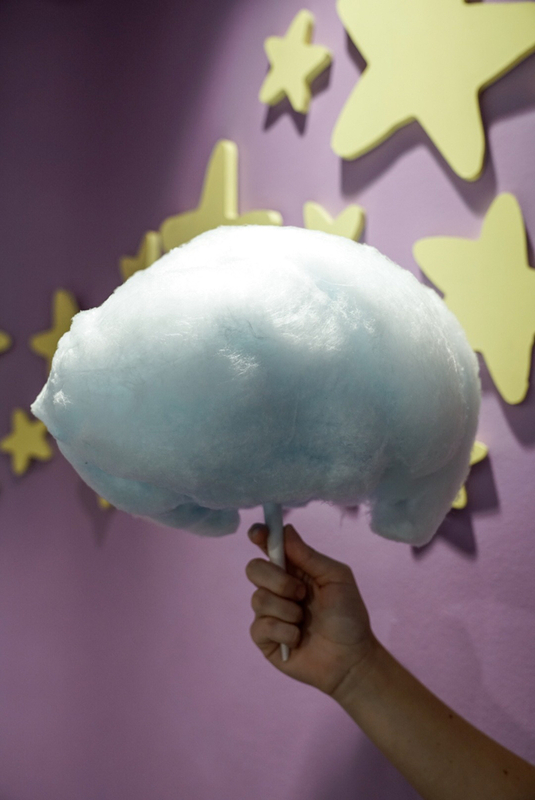 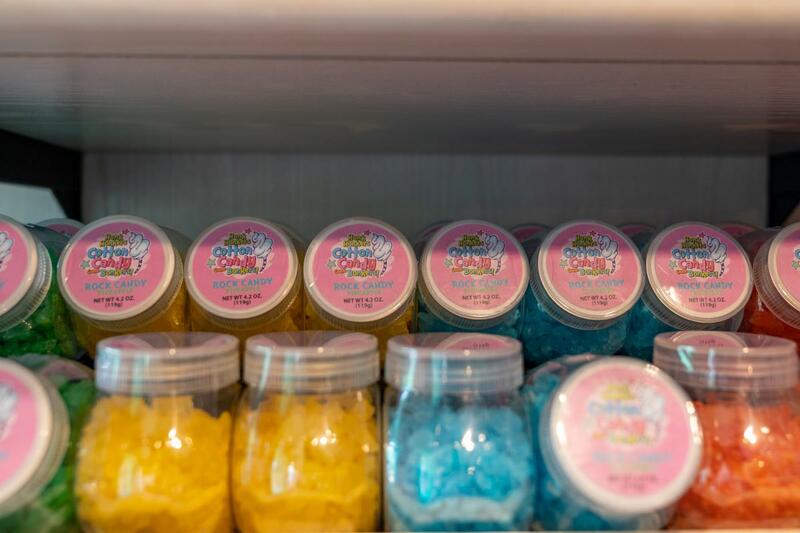 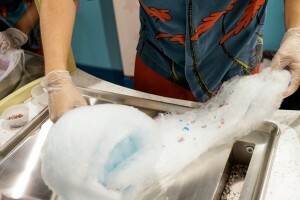 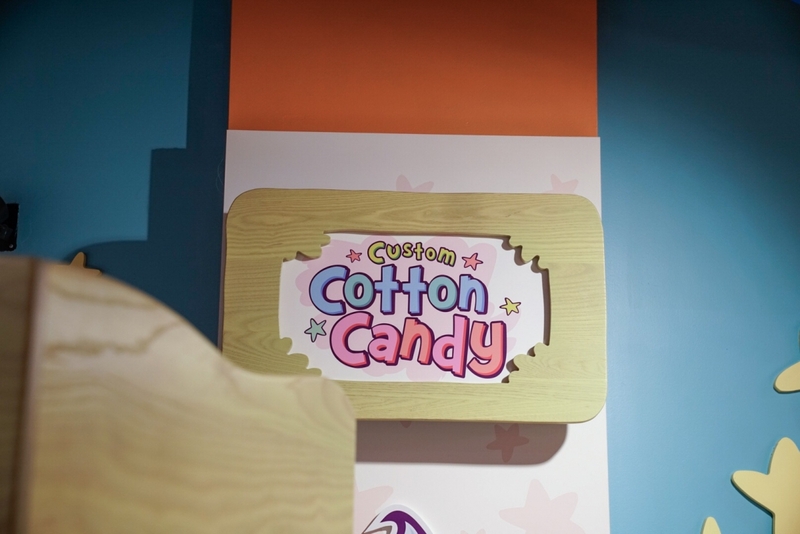 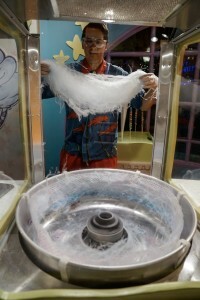 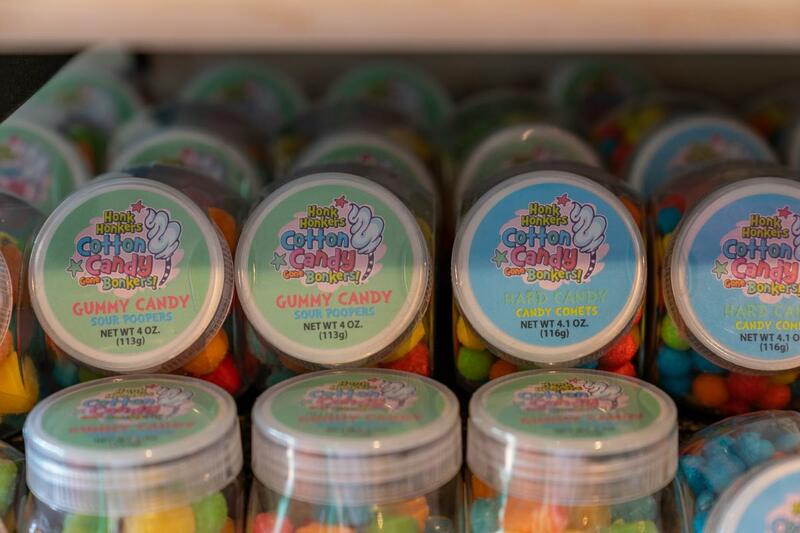 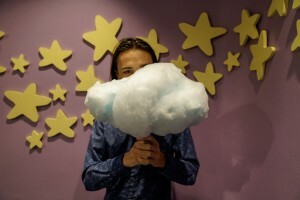 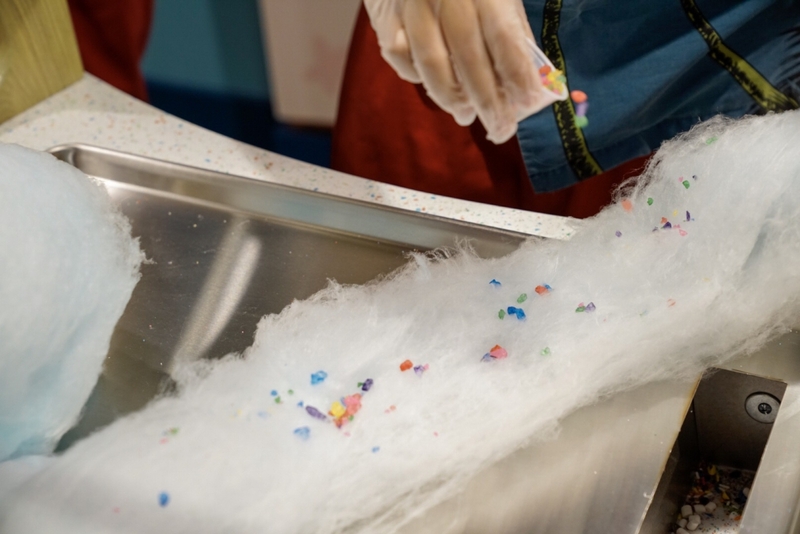 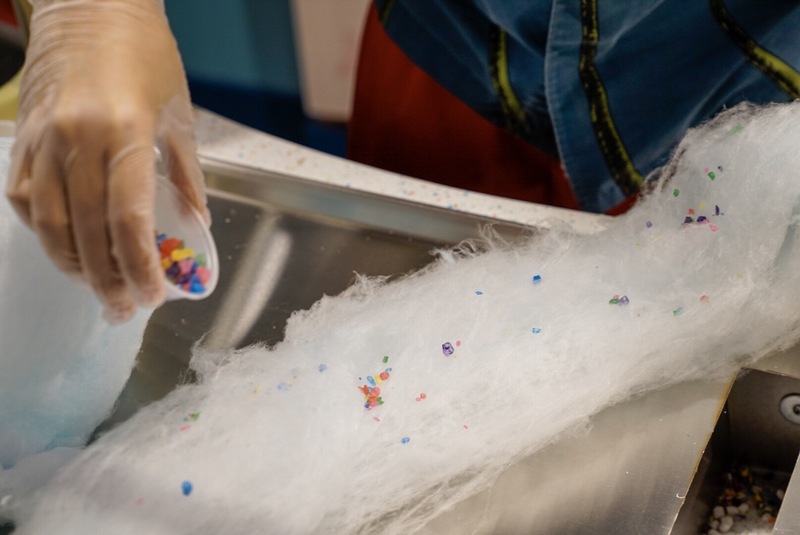 A candy store specializing in gourmet cotton candy. 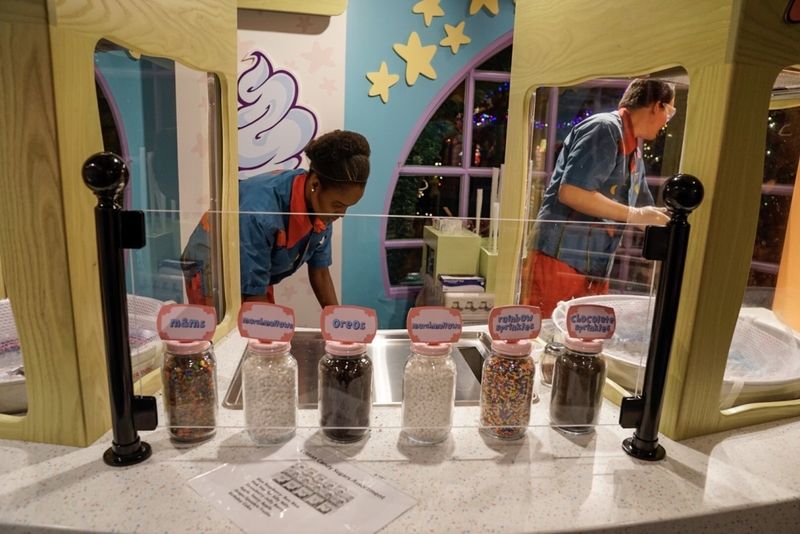 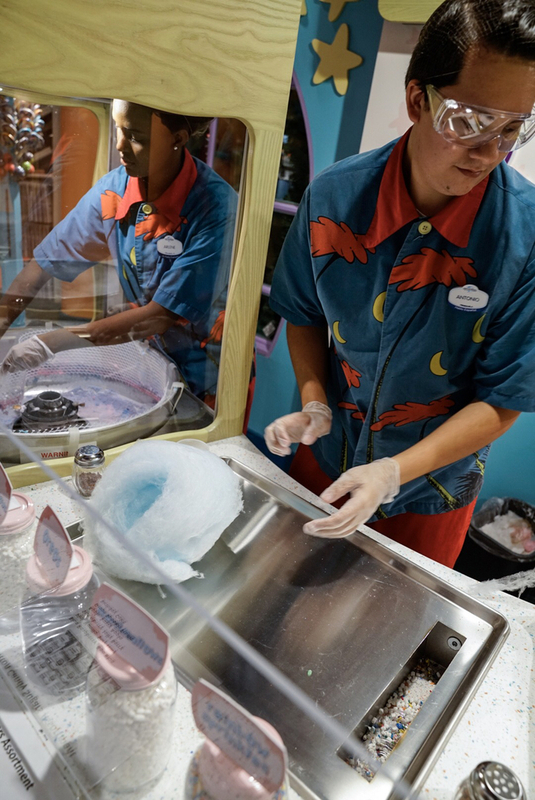 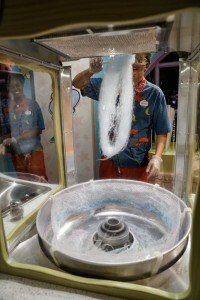 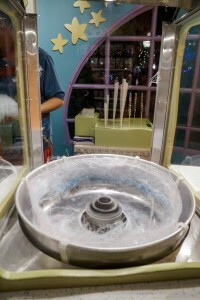 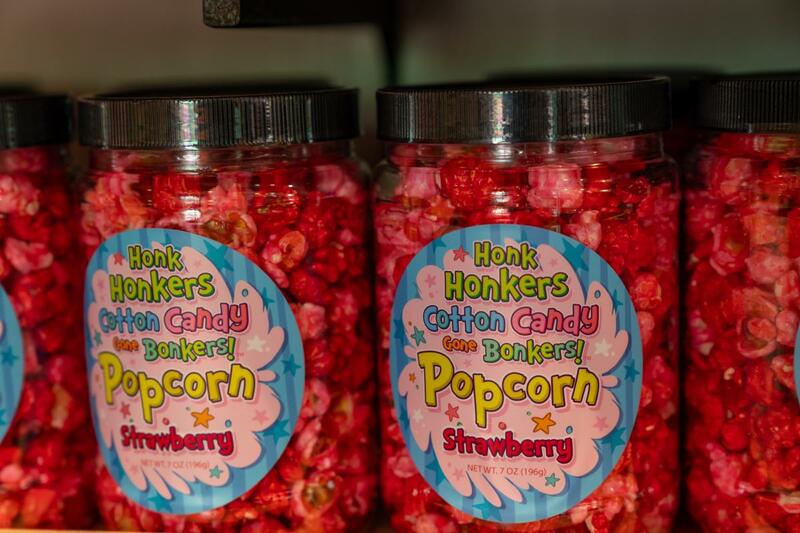 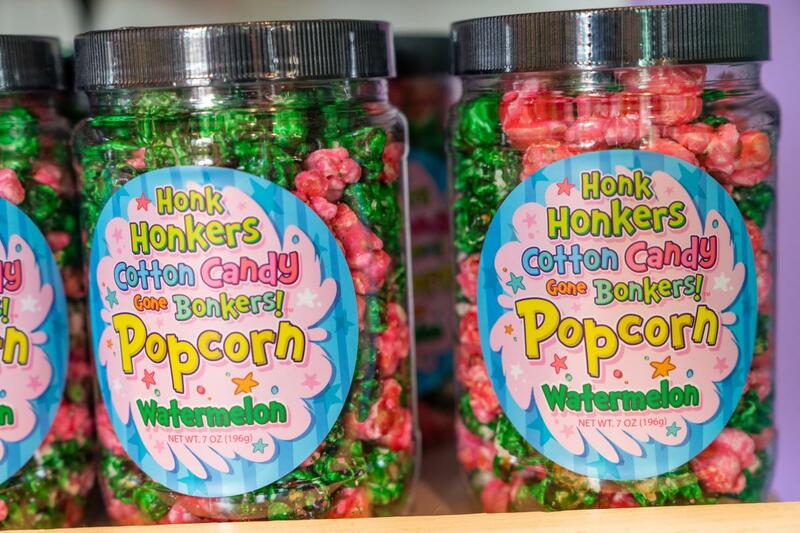 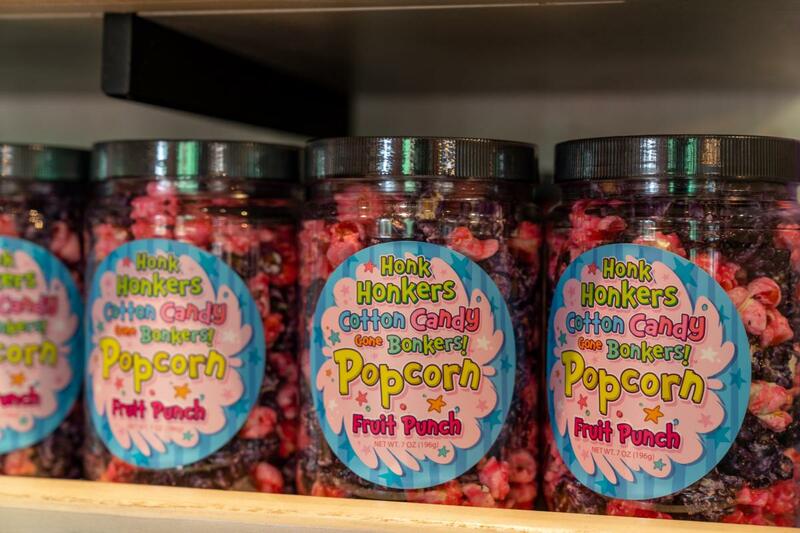 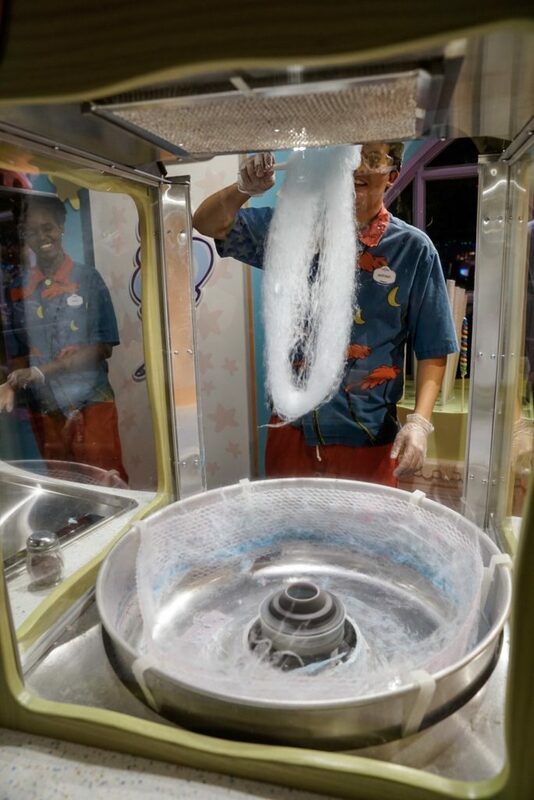 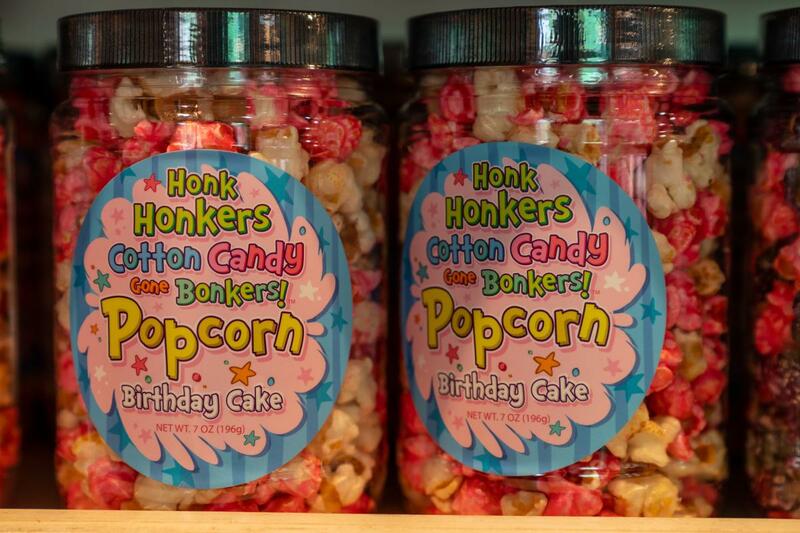 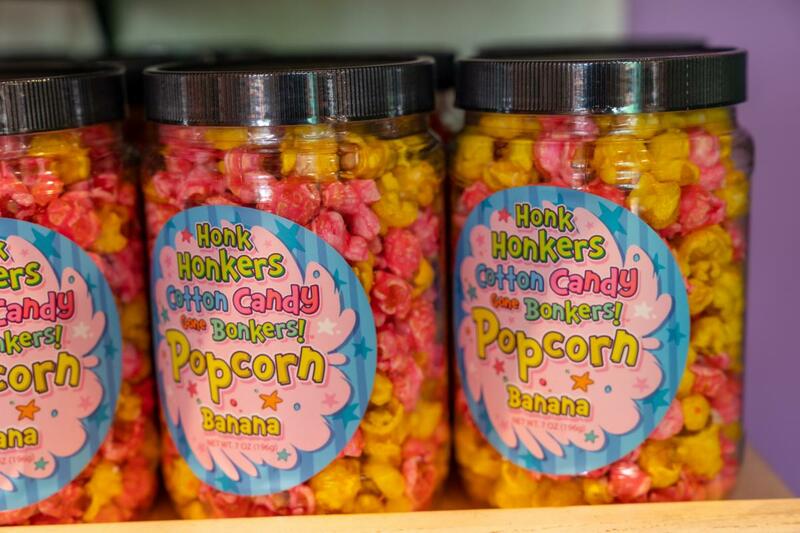 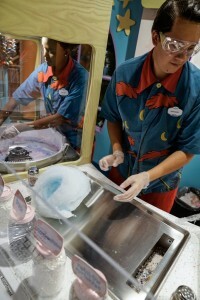 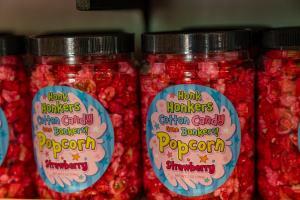 After sitting empty for nearly a decade, Universal has given the old Honk Honkers an overhaul – guests are able to choose a cotton-candy flavor (Birthday Cake, Apple, Grape, Strawberry, Pink Vanilla, and Blue Raspberry), a cotton-candy stick (including sugar lollipop ones), and, finally, their toppings (M&Ms, rock candy, Oreos, chocolate and rainbow sprinkles, and marshmallows), and then enjoy! 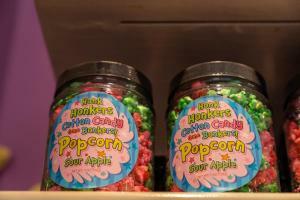 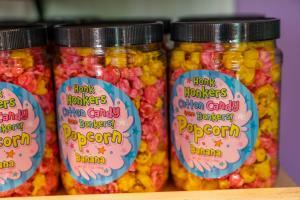 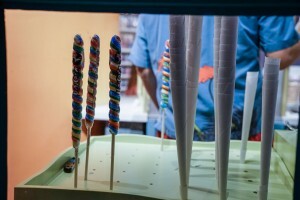 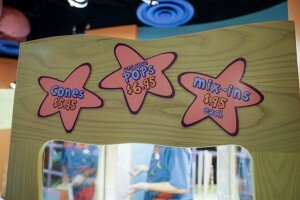 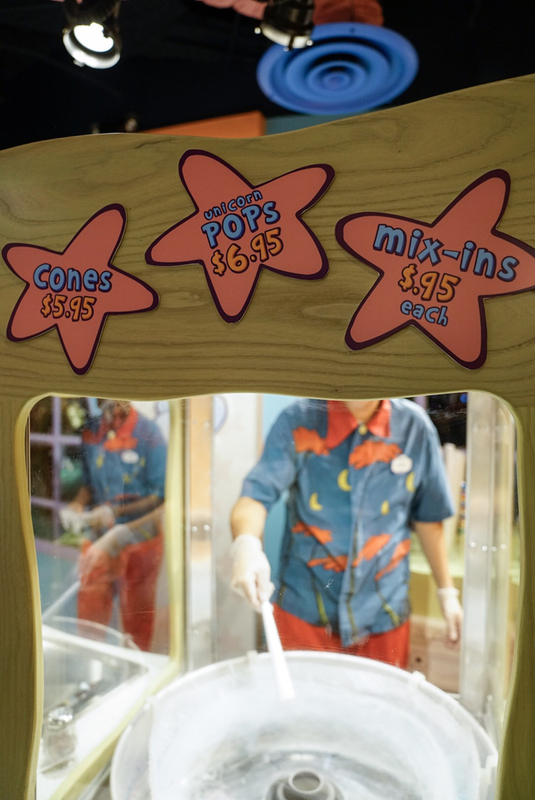 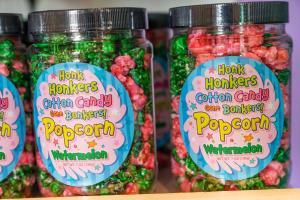 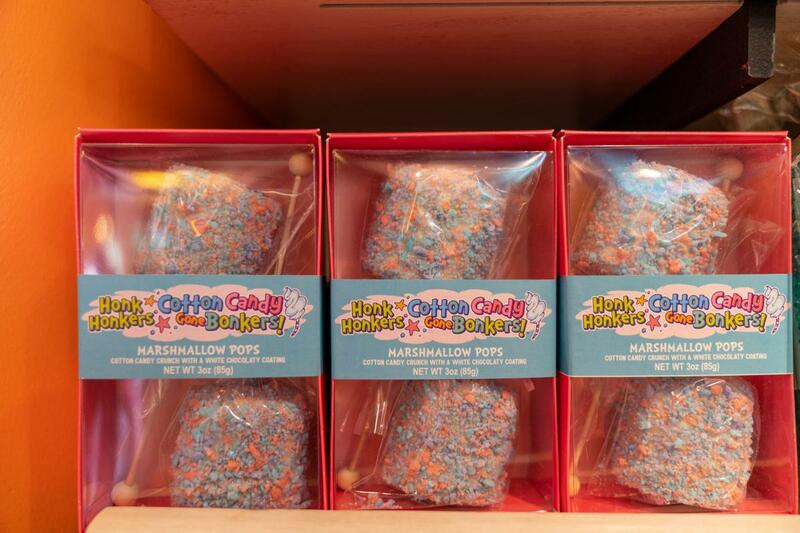 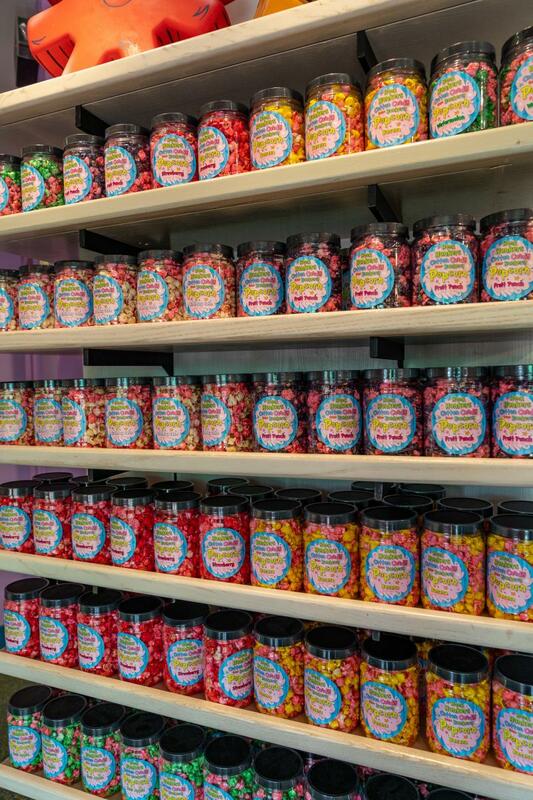 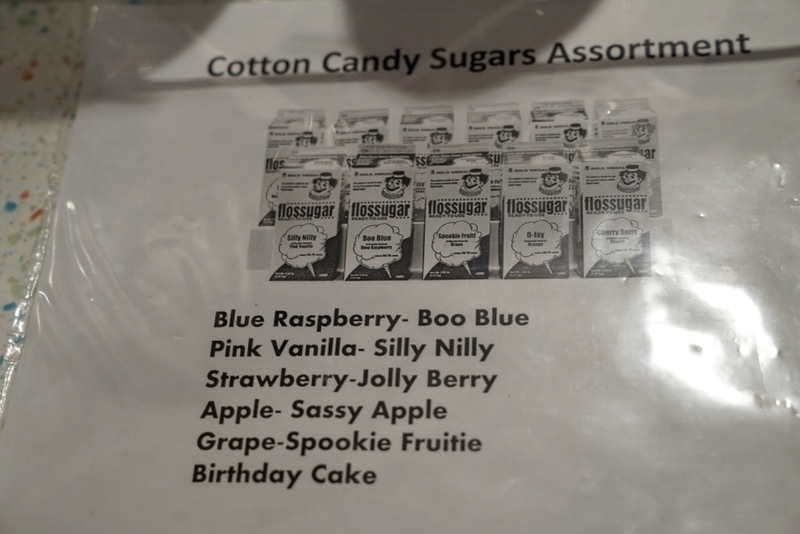 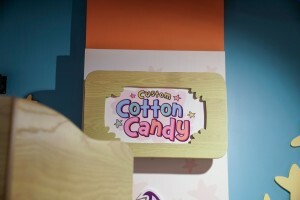 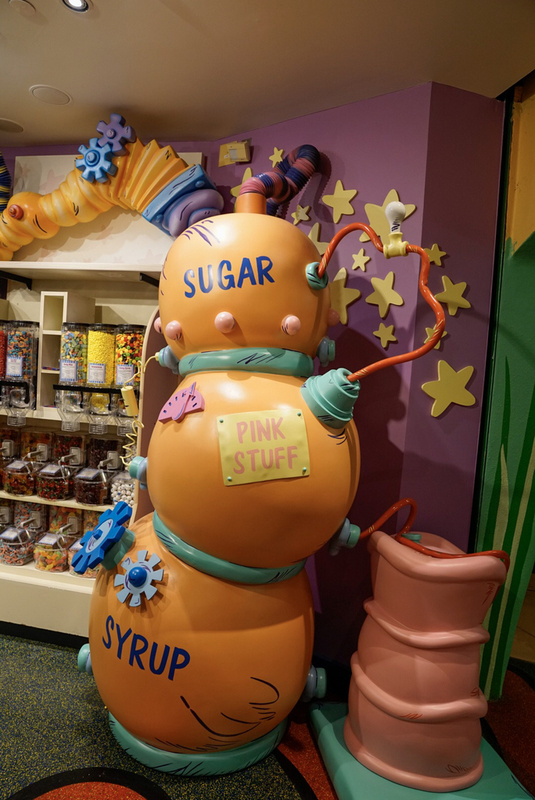 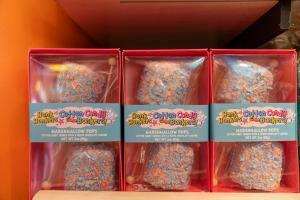 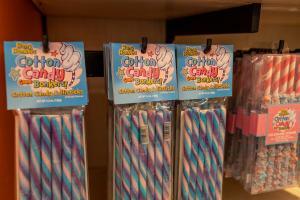 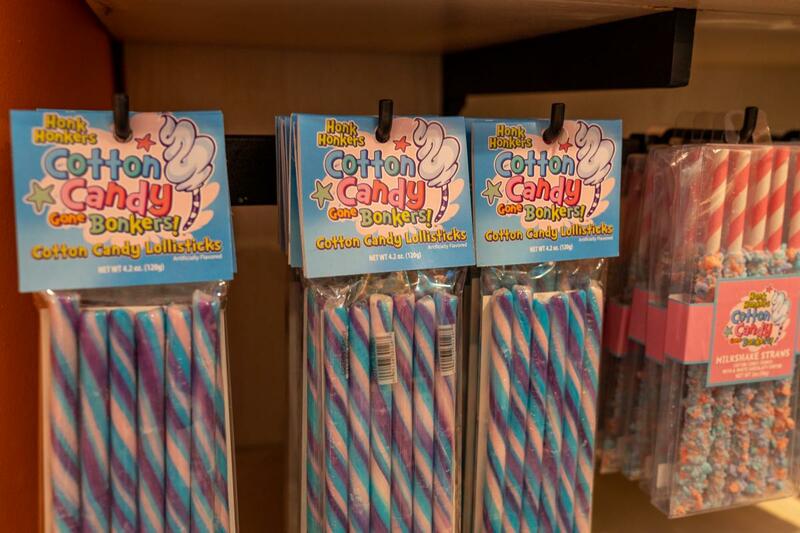 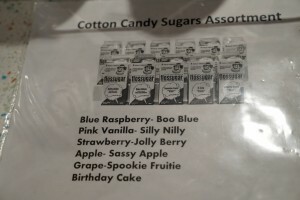 You can also find unique candy options, such as distinctly-flavored popcorn and marshmallow pops. 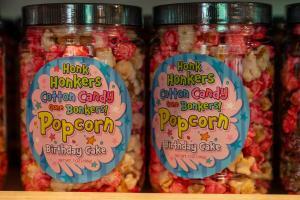 The Honk Honker hails from the book Happy Birthday to You!, where he hikes high up Mt. 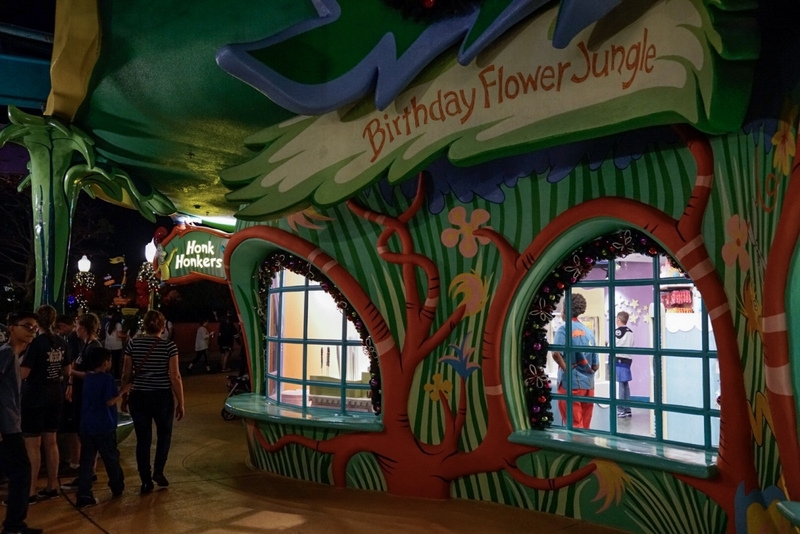 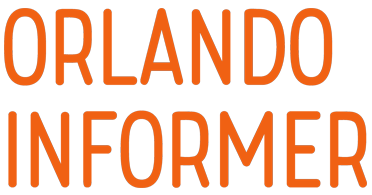 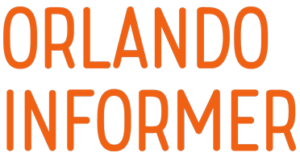 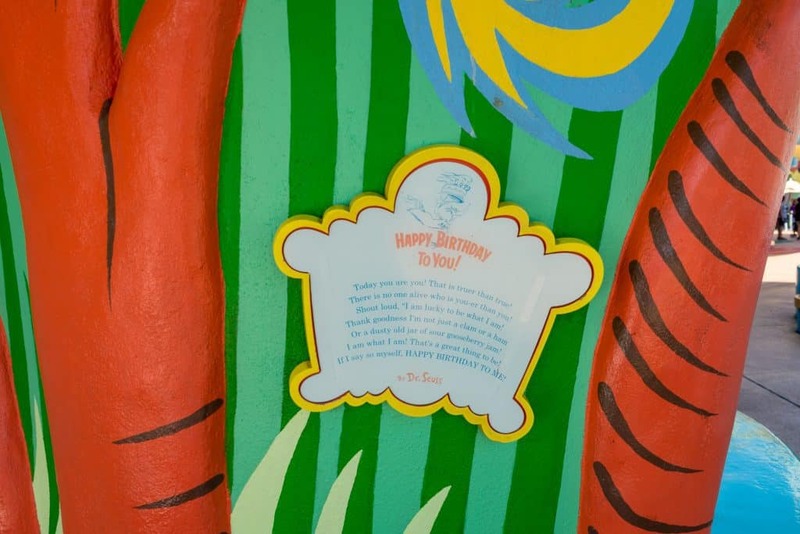 Zorn to celebrate the day your child was born (which might have helped contribute to the rumor from several years ago that the Islands of Adventure store was going to be transformed into a birthday-party room).